By Charles Moffat — January 2008. I have yet to find an art history book which lists «fantasy art» as an art movement. Perhaps it is because most art historians do not take fantasy art seriously, or because it is such a lengthy movement that goes back centuries and has its origins in folk art done by common peasants. Yet we take mythological and religious art fairly seriously judging by the amount shown in art history books, so why not fantasy art? Sheer ignorance perhaps. Many of the most phenomenal art pieces I have ever seen have been fantasy pieces. The artists’ creativity has simply overflowed into new ideas that would never have occurred to the majority of us. It therefore seems silly to me ignore a very large aspect of popular art which has dominated book covers, illustrations and movie posters for the past century. To find the humble beginnings of fantasy art we don’t have to look very far. Religious mythology has been rampant in previous art movements and artwork about angels, demons, gods, centaurs and similar creatures can be found both Christian mythological artand Greek & Roman art. 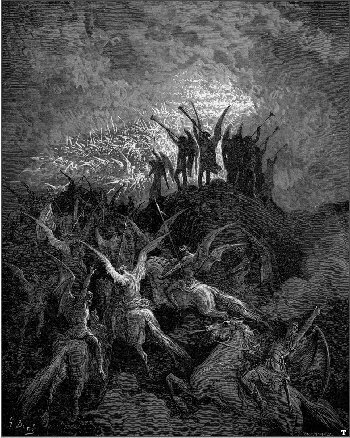 Gustave Dore’s attempts to illustrate the story of «Paradise Lost» [right] for example was a marked achievement in Christian mythology. But Western culture did not sprout fantasy art (as we know it) until after wide-spread literacy and common use of printing presses to create books. A method of serigraphy (to put images on paper) did not become patented until 1907. Prior to that time it was reasonably expensive to create printed works with images. Fantasy art has been largely considered «low brow» ever since, thanks to every common man or woman drawing their own fantastical creatures or stories. During the Neo-Classicist period religious mythology was one of the highest endeavours to paint a topic on. 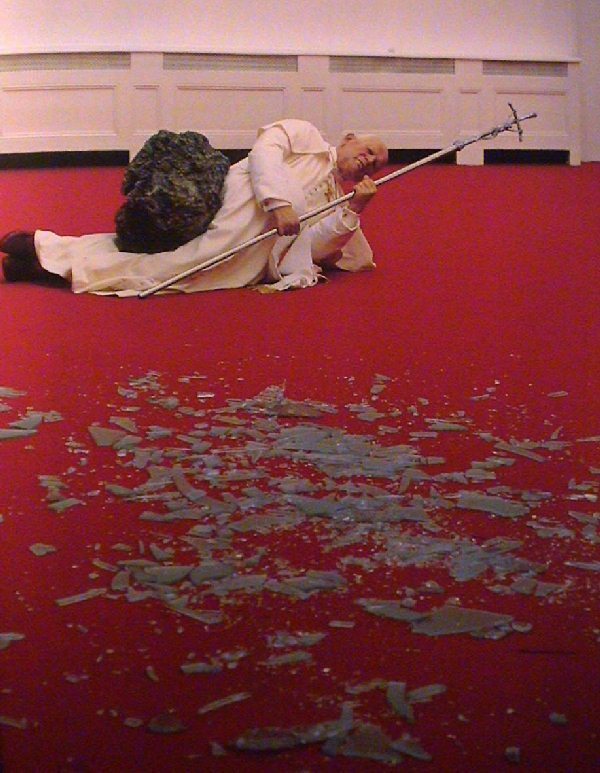 Today most serious artists don’t even paint religious themes unless they are making fun of it (Maurizio Cattelan’s «La Nona Ora/The Ninth Hour» in 2000 is a good example). Collectively religious, mythological and fantasy art has been reduced to the level of «folk art». There will never be another Cistine Chapel. The Vatican isn’t about to commission any young, ambitious artists to paint ceiling tiles. So just forget about it. Early fantasy art was usually the result of narrative, and thus illustrations for books or pulp fiction journals was a primary source of income for fantasy artists. The Avon Fantasy Reader, Weird Tales, Argosy Weekly, Famous Fantastic Mysteries, The Blue Book Magazine, The Popular Magazine, Amazing Stories, Fantastic Adventures, Unknown Fantasy Fiction, Future, Startling Stories, Fantastic Adventures, Unknown Worlds, Imagination, Imaginative Tales, Fantastic Novels, A Merritt’s Fantasy Magazine, The Saturday Evening Post Fantasy Stories, and Fantasy Magazine are but a few. Thus modern fantasy art (and science fiction art) was born out of the literary world. Literary icons such as Robert E. Howard (the creator of Conan) and J.R.R Tolkien (author of The Lord of the Rings) have inspired artists for eight decades with their characters and fantastic plots. Conan especially, with his brutal sexual magneticism and scantily clad slave-girls and princesses falling at his feet, would profoundly effect how we still view fantasy art even today as primarily male-driven. 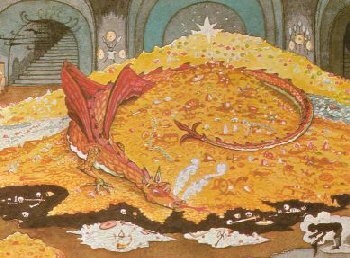 Tolkien himself made artwork in an attempt to illustrate the world he had created, but that was like unleashing a floodgate as the world of Middle-Earth has been a popular topic for amateur and professional fantasy artists ever since. P.J. MonahanFantasy art is historically rooted in mythology, folklore and religious art from all over the globe. We can track the history of fantasy art back to Greek mythology, Christian mythology, Chinese folklore, various cultural traditions and African myths and superstitions regarding magic. Our museums are proof of this with sculptures and pottery portraying gods, dragons, evil demons, spirits, ghosts, forces of nature, angels, and heroic immortals. Fantasy art is a mixture of imagination and direct observation of reality. It takes reality and adds a fanciful, unrealistic, fantastic, dreamy, wistful feeling to it. Essentially the result of artists with wild imaginations. 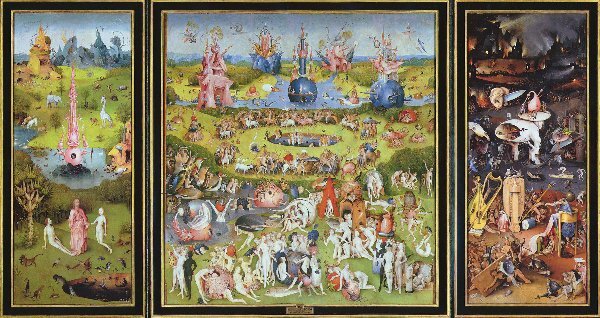 For example Dutch artist Hieronomous Bosch was a famous fantastical artist of the 1500’s who is most well known for his painting of «The Garden of Earthly Delights». The piece is a triptych of Eden portraying Adam and Eve, giant fruits, winged houses, and glass domes. His nudes were sensuous yet haunting as he wanted to relate his ideas about Adam and Ever and their Original Sin. With the technological advances of photography and printmaking modern artists needed a new challenge in the art world and focused on expressionism, cubism, abstraction, fantasy and surreal art. The meaning and purpose of art changed as artists explored different ways of expressing ideas – not just reporting historical events, and subjects. Artists turned to painting the unseen (and thanks to their literary counterparts) their imaginations ran wild. Today, fantasy art continues to be extremely popular where artists and art lovers can enjoy sci fi, surreal, mythological, unexplainable, imaginative, and taboo themes. Get high quality SEO advice for FREE from the SEO experts at designSEO.ca, they are Toronto’s Search Engine Optimization foremost SEO experts. Get quality advice for free, hire experts who know SEO better than no other. Dark fantasy art is a popular theme for both artists and connoisseurs where individuals can explore their deepest fears, and darkest desires. Popular themes are vampires, demons, gothic art, wiccan and pagan art, horror art and dark surreal themes.Dragon art is also very popular because dragons continue to be popular creatures in literature. Many myths and legends exist about dragons and it’s only natural that artists and writers would try to emulate those myths in books and paintings. Virgil FinlayIn 1923 «Weird Tales» (the first all-fantasy fiction magazine) was created. Many other similar magazines eventually followed, including «Sword and Sorcery». The pulp magazine format was at the height of its popularity at this time and was instrumental in bringing fantasy fiction to a wide audience in both the U.S. and Britain. Such magazines also played a large role in the rise of science fiction and it was at this time the two genres began to be associated with each other. Prominent authors began their careers in these magazines including Clark Ashton Smith, Fritz Leiber, Ray Bradbury and most noticeably H. P. Lovecraft. The early works of many «Sword and Sorcery» authors such as Robert E. Howard also began at this time. By 1950 sword and sorcery had found a wide audience, with the success of Howard’s Conan the Barbarian, and Fritz Leiber’s Fafhrd and the Gray Mouser stories. Howard’s works, especially Conan, were to have a noteworthy, even defining, influence on the sword and sorcery sub-genre. They were tales of vivid, larger-than-life action and adventure, and after the work of Tolkien, the most widely read works fo fantasy. Leiber’s stories were particularly noted for their uncommon realism for the time; Unknown developed this trait, with many stories in it showing credibility and realism. Like Morris and Eddison before him, Leiber continued the tradition of drawing on Northern European legend and folklore. C.L. 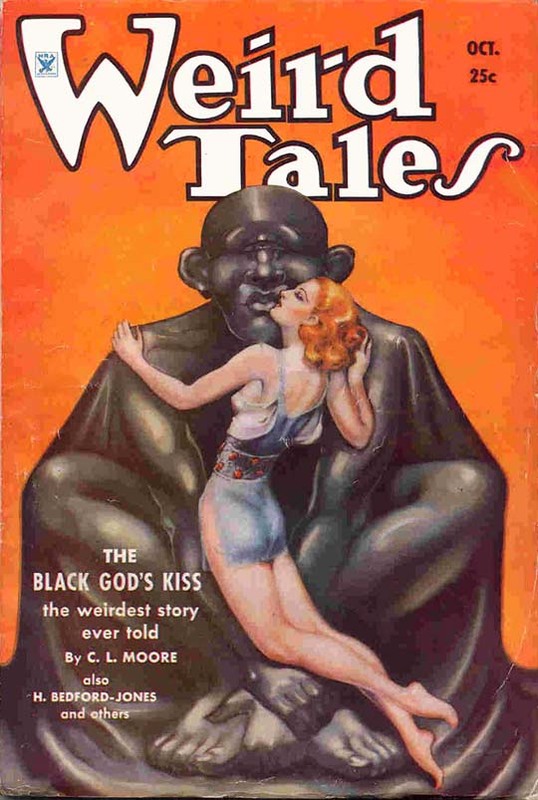 Moore was among Howard’s first imitators, with «The Black God’s Kiss», in which she introduced Jirel of Joiry and the heroine protagonist to sword and sorcery. In 1938, with the publication of The Sword in the Stone, T. H. White introduced one of the most notable works of comic fantasy. This strain continued with such writers as L. Sprague de Camp who managed to scrap together Howard’s unfinished works and create additional Conan stories by finishing them in true Robert E. Howard fashion. Note: Many of the stories and books published prior to the 1970s were rife with racism and racial stereotypes. The artwork likewise frequently depicted such racial beliefs and likewise racial tensions. Robert Gibson JonesFollowing the success fantasy pulp fiction magazines writers in the 1950s thru to the 1970s fantasy writers started to lean more towards writing full length novels (sometimes with interior illustrations). The 1950s was an era that saw the rise of science fiction as a marketing juggernaut. UFOs, aliens, communists, government conspiracies were in the collective consciousness of western culture. Science fiction therefore began to dominate the pulp fiction world. But this didn’t mean fantasy was totally ignored. The works of Tolkien (first published in 1937, and in the United States a year later) and Tolkien’s colleague C. S. Lewis were main dishes of the fantasy world and artists flocked to the ideas presented in their books. C. S. Lewis published The Chronicles of Narnia between 1950 to 1956. Both writers used fantasy to convey metaphors regarding World War II and the artwork rarely shows this symbolism. In The Chronicles of Narnia for example, the lion Aslan is a symbol of British Royalty, and the wolves represent NAZIs. Vernon KramerIn the 1960s a collection of Conan stories were released with new cover art by Frank Frazetta. This series ended up selling approx. 10 million copies and the cover artwork inspired a generation of artists who followed in the 1970s. In 1973 Tactical Studies Rules (TSR), a company run by Gary Gygax and Donald Kaye, published a book that would revolutionize the world of fantasy art. But it wasn’t fiction per se, it was the fantasy role-playing game «Dungeons & Dragons». 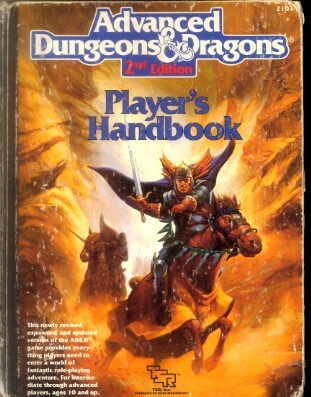 D&D as it is now commonly called would have a phenomenal impact on the popularity of fantasy fiction and the genre as a whole. It was a dice game which used interactive storytelling so that a group of people could create their own fantasy stories and «roleplay» out situations using dice to determine the results of random chance. The game was intensely addictive and many books, supplements and fictional material would follow as a direct result of the game. 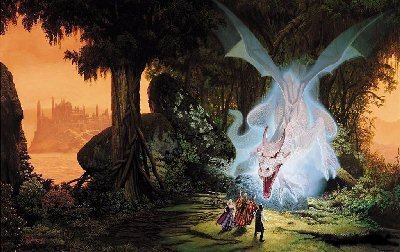 Whole fantasy worlds, notably The Forgotten Realms and the Dragonlance world «Krynn», would become the subject of hundreds of over 400 individual novels, each with cover art and interior illustrations. Some of the novels were even adapted into comic books. The game now has had over 50 million players (past and present) and is even played by celebrities: Comedian Stephen Colbert, musician Moby, and actors Vin Diesel, Matthew Lillard, Mike Myers, Patton Oswalt, Wil Wheaton and Robin Williams have made their D&D hobbies public. 35 years later D&D is now entering its 4th Edition (due out June 2008), has spawned a movie and will likely create more movies. The original Dragonlance trilogy is being considered for Hollywood Blockbusters. As a franchise D&D has paid the bills for hundreds of fantasy artists during the last 4 decades, allowing them to pursue and expand their artistic goals, and even spawning competing companies. «Sword and Sorcery», the fantasy pulp fiction magazine mentioned above, has long since gone bankrupt and has been replaced by different company with the same name which creates fantasy roleplaying books. 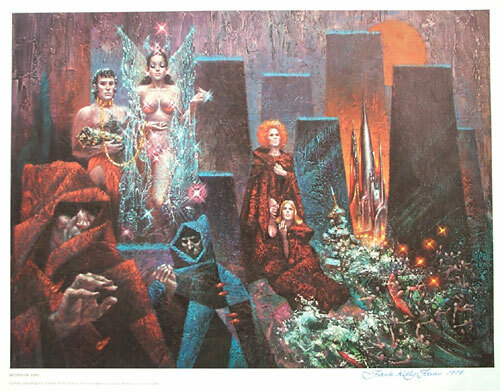 You’ll notice that the number of artists listed below jumps dramatically in 1970s and (if you research the individual artists) they tend to specialized specifically in fantasy art (as opposed to many of the artists above who were illustrators or painters for pulp fiction magazines). A number of Conan and The Lord of the Rings books were reprinted during the 1970s, sparking re-interest in the books. 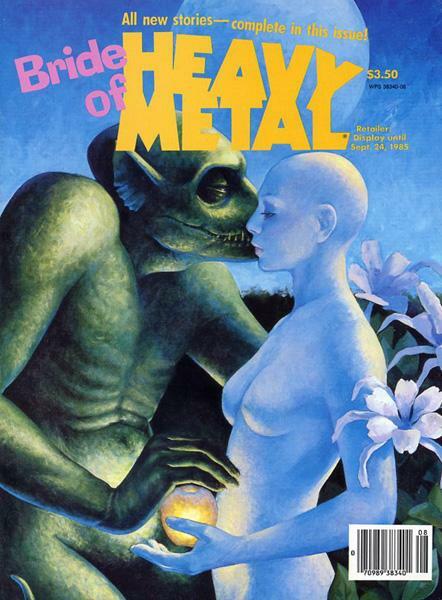 In 1977 there is also an European influence as the French magazine «Métal Hurlant» (Heavy Metal) gets published in the United States for the first time. Heavy Metal would become a popular source of fantasy and science fiction art and a breeding ground for graphic novels. 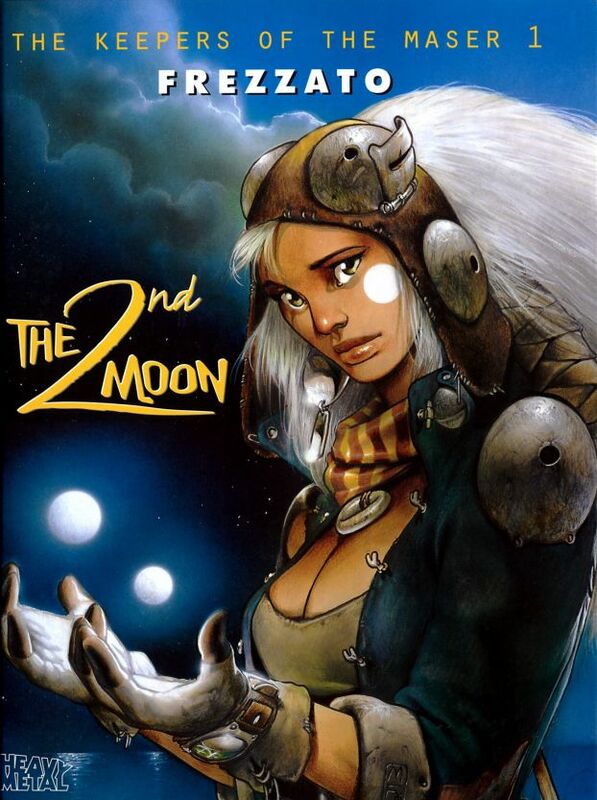 Artists included Enki Bilal, Jean Giraud (also known as Moebius), Phillippe Druillet, Milo Manara and Philippe Caza. Walter VelezIn 1993 mathematics professor Richard Garfield created the trading card company «Wizards of the Coast» and patented trading card games, creating such games as Magic: The Gathering, the Pokémon Trading Card Game, the Star Wars Trading Card Game, the Simpsons Trading Card Game and numerous others. With approx. 6 million players in 70 countries the company eventually became so profitable they bought out TSR. Because the trading cards all have artwork on them, it became another source of employment for fantasy artists. Tony Di TerlizziWith modern computer graphics the movie business has pumped new life into the fantasy genre. Blockbuster films (often based on popular books) like Dragonheart, The Lord of the Rings, Harry Potter, The Chronicles of Narnia, The Golden Compass, The Pirates of the Caribbean, Star Wars (contrary to popular belief, Star Wars is technically fantasy, not science fiction) and numerous others has created renewed interest in the fantasy genre. As a result amateur fantasy artists are a dime a dozen these days, many of them showcasing their art on websites like elfwood.com and deviantart.com. That’s an amazing article. Thorough, well researched, and incredibly inspiring. It’s nice to see all of these great artists appreciated as a part of the art history.